Below is a list of resources for families touched by pediatric cancer. For a list to fit more specific criteria, use the buttons to the left to filter the resources. Relevant results will appear below. To find out more about them click the "more info" button. To go to the resource site click on the picture representing the resource. More Info Families touched by cancer get the incredible opportunity to fly an airplane. This program is free providing emotional support to patients and their families both in and out of treatment. More Info Families with a child in treatment receive financial assistance for travel on a sliding scale based on family income. More Info SuperSibs is dedicated to comforting, encouraging, and empowering siblings during their family’s battle against childhood cancer, so these children and teens can face the future with courage and hope. More Info Kids experience the magic of summer camp, with the support and guidance of caregivers and the supervision of our professional medical team. This is open for kids at any stage of their experience with childhood cancer. More Info Open to childhood patients and survivors in the New England area, kids increase self-esteem, experience independence, practice good teamwork, and forge lasting friendships, under the supervision of medical professionals and camp counselors. More Info We offer free social events throughout the year to create and strengthen bonds between families affect by pediatric cancer. Previous get-togethers have included indoor rock climbing, swimming, bowling, and more! More Info Our hope is that a package of hats will help to brighten a child with cancer's day. We send hats to children battling cancer and their siblings. More Info Our college scholarship is intended to help an individual who has been impacted by cancer – either in treatment or remission – to attend a 4-year college or university in pursuit of a degree. More Info Families receive support through our direct financial assistance program for everyday living expenses, such as mortgage or rent, utilities, auto-related expenses, child care, treatment-related travel, hospital parking, and prescription medications. More Info Hospitality Homes provides free short term housing for families who come to Boston for treatment and who live over 50 miles from the hospital. More Info "Free classes for patients and siblings in martial arts techniques. Our mission is to ease the pain of very sick children while empowering them to heal physically, spiritually and emotionally." More Info An average of $1000 in funding is available for anyone in New England diagnosed with cancer before the age of 21 years to pay for integrative therapies such as massage, yoga, horseback riding, and more. More Info The Sajni Center is a space of hope and healing offering programs such as Essential Oil workshops, animal therapy and yoga on weekends for families of children with cancer or life-threatening illness. More Info Make-A-Wish grants wishes for children with life-threatening medical conditions to enrich their lives with hope, strength, and joy. More Info Heart to Heart is a gathering of parents and caregivers whose children have had a cancer diagnosis and who have been discharged from treatment. The focus of this group is to provide support to these families as they try to re-acclimate back to life. More Info Climb for Courage was carefully designed and comprises the impactful nature of relationships coupled with valuable resiliency concentrated teaching points. The long lasting relationships being formed provide the children with hope and encouragement as they continue their fight against cancer. More Info Our Space provides healing, peace, and joy through creative exploration, play, and connection to others. These services are provided in hospital, clinic, home, and community settings. More Info Patient Airlift Services is a network of volunteer pilots flying people over who live over 2 hours from the hospital and who can not afford or use other transportation due to their treatment. More Info Scholarships are a one-time award of $1,000 to high school seniors, high school graduates or college students who are brain tumor survivors pursing an associate degree, bachelor's degree, or certificate from an accredited college/university or a vocational, trade, or technical institution. More Info These retreats are for families that have a surviving child with no evidence of or stable disease It is a retreat full of happiness, relaxation, and deep connections to heal from the experience of cancer. More Info Open to Healing is a bereavement retreat for families that have lost their child to cancer. More Info Cancer support groups meet to discuss experiences and create a connected community of survivors and those affected around them as well. More Info Team IMPACT is a national nonprofit that connects children facing serious and chronic illnesses with college athletic teams, forming life‐long bonds and life‐changing outcomes. More Info At Why Me we understand that the diagnosis and treatment phases are just the beginning of a life-long involvement with cancer. In some cases, the cancer is incurable. We stand beside our families throughout each of their journeys and work to maintain balance and restore harmony in every life we touch. 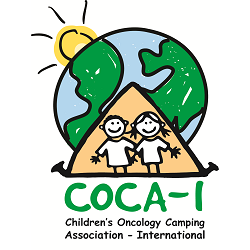 Camp Casco creates amazing camp experiences that build lifelong connections for children with cancer and their families. If you are a nonprofit and would like to submit a resource for consideration please fill out the survey above!